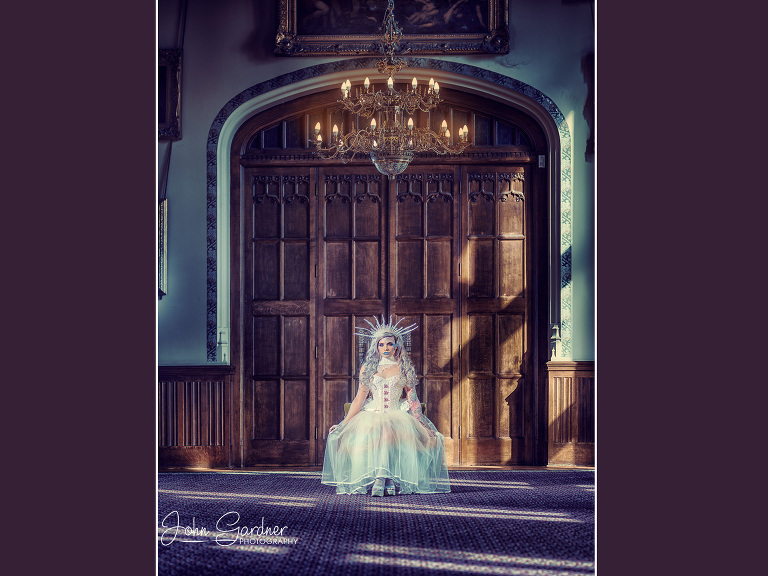 Wakefield commercial fashion & portrait photographer: I joined my creative team on site at Carlton Towers today for a fantasy shoot based on an Ice Queen styled shoot. 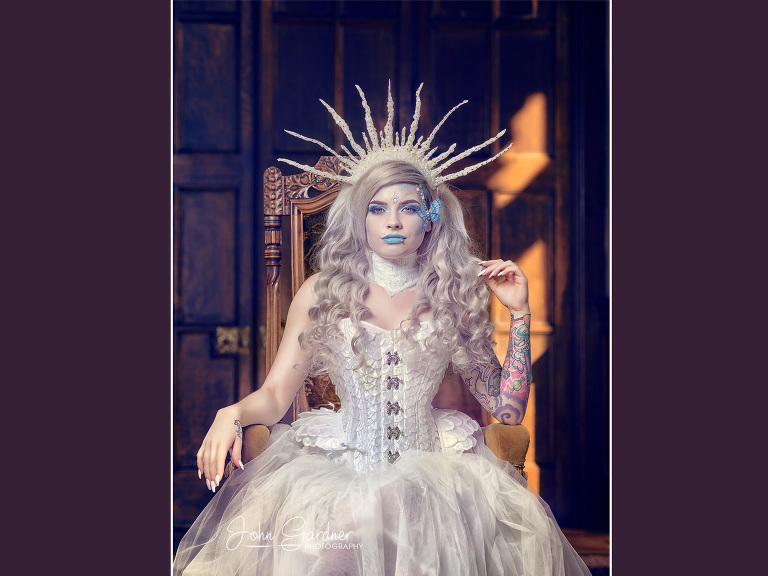 Sarah was the model and we had Vanessa Perry on board for the make-up. The costune was a rental one that Sarah sourced for the shoot but really, the location made the shoot for me. 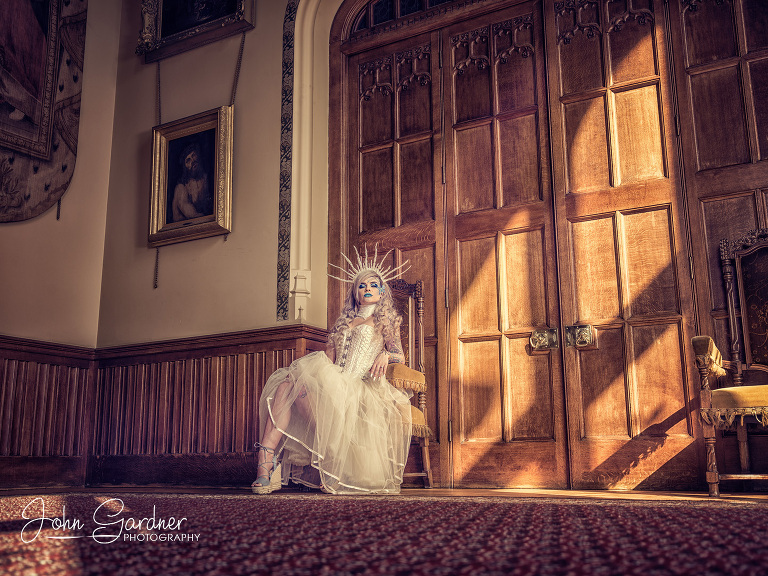 I’ve shot in the prestigious venue of Carlton Towers previously and I have a wedding there in September which I’m looking forward to. Once the make-up was applied it was simply time for the costume and then on with the shoot. Honestly, this is just a small selection!